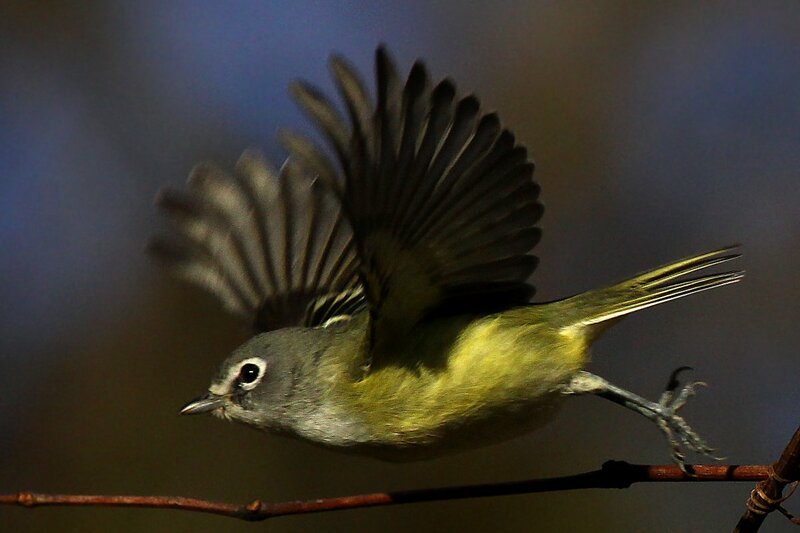 A Blue-headed Vireo Vireo solitarius taking off from a branch in Alley Pond Park, Queens, New York, on 1 November 2012. Click it to embiggen it. That is all. Thanks – how is it going up there? Migration here in Costa Rica – STRANGE. @Alfombra Bird Observatory: We seem to have had a bunch of neotrop migrants blown back by Sandy but they are clearing out now.